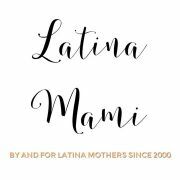 Latina Mami first began in 2000, and was founded by a 25-year old new Latina mother who was not able to find services for herself outside the social service-based models of support in Austin. Latina Mami began organizing mother's groups, platicas, cultural events, and then organized a local radio show run for 8 years ("Mamis of Color") by mamis and children. Latina Mami participated in a baby clothes closet with items for trade, informal birth support for immigrant women in public hospitals, and advocacy training. Latina Mami has been recognized for its grassroots efforts by progressive foundations, Latina Magazine, Univision, and even written about in academic feminist journals. Now, Latina Mami is evolving into a network of Latina Mami chapters. We are interested in meeting other like-minded mamis in a child and mami friendly spaces, to tell our stories, support one another, and engage in civic actions, or just learn how to better navigate systems for the betterment of our children.